New Orleans cryptocurrency ATMs have never been simpler thanks to Pelicoin. Pelicoin provides a safe, easy, and secure way to buy Bitcoin in New Orleans. 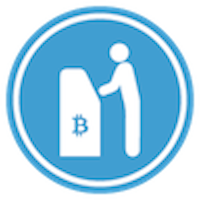 Though Bitcoin is the most well-known cryptocurrency, Pelicoin also allows users to purchase Litecoin and Ethereum at our conveniently located machines. This machine can be found at Super Discount Gas on South Claiborne Avenue, an area close to downtown. Buying bitcoin and other cryptocurrencies shouldn’t be a difficult process. Our ATMs are set up just like traditional ATMs so the process is recognizable to any user. Cryptocurrency has become one of the most exciting technological innovations in recent years because it allows people to safely and anonymously make transactions with a new form of currency. There are countless benefits of buying Bitcoin, especially as cryptocurrency becomes more mainstream and usable in stores. Pelicoin's state-of-the-art ATM machines work the same as any other ATM, taking any daunting tech out of the equation. Our New Orleans Bitcoin ATMs can be your first step in accepting the new wave of technology. Pelicoin has ATMs throughout the Gulf South and our reach continues to grow.